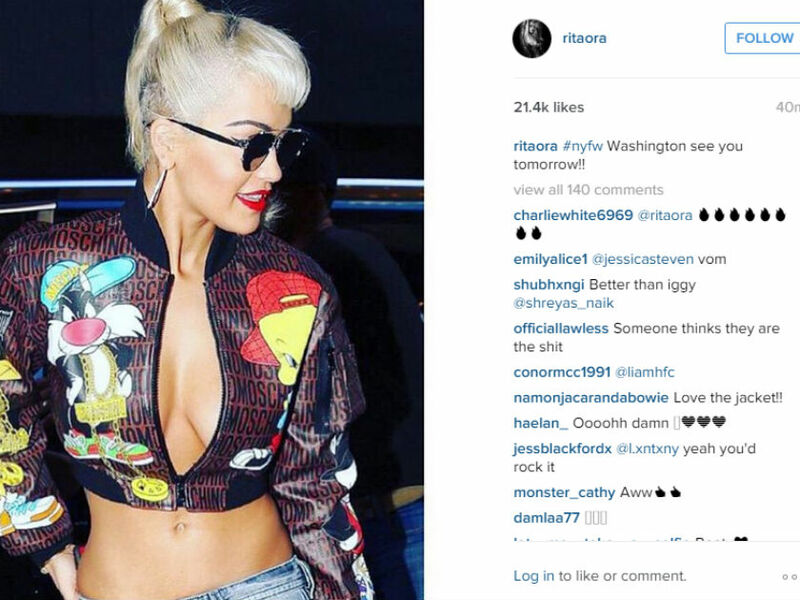 Rita Ora showcases her INCREDIBLE abs... and this is how she got them! We’re craving celery. This is an unusual sensation. The only time we ever expected to crave celery was during a season of blue moons, whilst pigs have flying races in the sky. So pretty much NEVER. But here we are, craving celery. And how has this miracle happened?! Oh, only through the power of Rita Ora and her incredibly chiselled sharpen-your-pencil-on-my-abs torso. No biggie. Okay, it’s a massive biggie. Because 24-year-old Rita looks amazing. Like, blow-the-hamburger-out-your hand amazing. Taking to Instagram, The X Factor judge posted a series of jaw dropping snaps, captioning one ‘#nyfw Washington see you tomorrow!!’. And want to know the best thing?! It appears we too can look like Michelangelo carved our physique out of actual marble- with a lil’ something called Barrecore. Last year, Rita told Harpers Bazaar that her incredible bod is down to a particular workout- ‘I’ve started this thing called Barrecore. I’m not a massive cardio fan, not that anyone really is, but this pulses your body to the music. Its shaky—you almost feel like Bambi, but its really good for you’. Barrecore is an exercise that promises to ‘stretch every muscle group in the body’. It is an infusion of yoga and ballet, and works by ‘using a ballet barre, your own body weight and isometric exercises… your muscles quickly transform, becoming longer, stronger, leaner and more flexible’. In fact, according to the official Barrecore site, it is an incredible fat burner- ‘most clients lose inches in just 8 to 10 sessions. The more frequently you attend, the faster you see results. Because we use a program of resistance exercises, you will build lean muscles’. The workout is proving very popular with members of the A-List, including Victoria’s Secret angel Jourdan Dunn.